There are 3D printers in state colleges and public places, and there is a possibility of potential irreparable harm, he stressed. 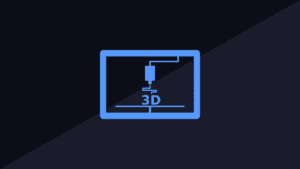 The court in the US blocked the planned on Wednesday, August 1, the publication in the network of weapons drawings for 3D printers. This is reported by Reuters. The district judge in Seattle, Robert Lasnick, considered that the publication of drawings could cause irreparable harm to US citizens. The publication of these drawings is now illegal under the federal law, stressed Lasnick. “There are 3D printers in state colleges and public places, and there is a possibility of potential irreparable harm,” he stressed. On August 1, the Defense Distributed organization planned to publish in the network blueprints for making weapons using 3D printers. However, as defense attorney Dzhosh Blackman noted, the company began publishing drawings on Friday. The files included drawings of the plastic version of the AR-15 semi-automatic weapon, which can be printed on a 3D printer. The traditional version of this type of weapon was repeatedly used in mass firing in the United States. The founder of Defense Distributed, Cody Wilson, in turn believes that access to online drawings is guaranteed in accordance with the rights of the first and second amendments to the US Constitution, guaranteeing freedom of speech and the right to arms. The judge noted that the issues concerning the first amendment should be carefully considered and the next hearing on this case scheduled for August 10. Recall, on the eve of nine states sued the administration of the US President Donald Trump, as well as the organization Defense Distributed with the requirement to prohibit the distribution of weapons in the network for 3D-printing.